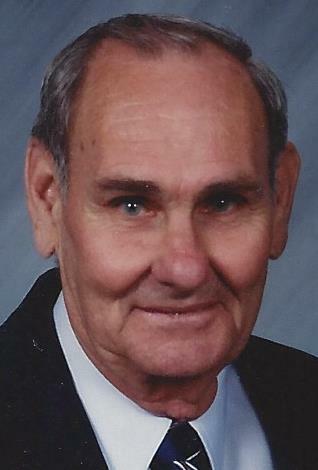 Obituary for Marvin Johnson | Esterdahl Mortuary and Crematory, Ltd.
Marvin Lowell Johnson, 84, of East Moline, died September 3, 2018, at his home. Funeral services will be held at 10 a.m., Thursday, September 6, 2018, at Esterdahl Mortuary & Crematory, Ltd., 6601-38th Avenue, Moline. Visitation will be from 4-7 p.m. Wednesday at the funeral home. Burial will be at the National Cemetery, Rock Island Arsenal. Military honors will be conducted by the American Legion Post No. 246. In lieu of flowers, memorials may be made to the Salvation Army or to Mighty Fortress Church, Moline. All need to use 70th Street for access to the funeral home due to the road construction. Marvin was born on September 13, 1933, in Moline, the son of Robert and Naoma (Yates) Johnson. He graduated from Rock Island High School in 1951. He married Donna Olson on November 17, 1957, in Moline. Marvin was a U.S. Navy veteran, serving in the Korean War. He worked as a carman for the Rock Island Railroad Lines for 24 years. He retired from the Butterworth Center after 19 years. He enjoyed fishing, hunting, gardening and refinishing furniture. Above all things, Marvin loved to be with his family. Survivors include his wife, Donna; children, Tim (Donna) Johnson, LeClaire, Ranell (Doug) Dennis, Milan, and Tanya (Justin) Hartman, Aledo; 9 grandchildren; 5 great grandchildren with one on the way; sister, Janet Cooper, Amarillo, TX. He was preceded in death by his parents; sister, Maradelle Ragland; brother, Donny Johnson. A special thank you to Dr. Garneau and his staff for all their compassion and care given to Marvin.